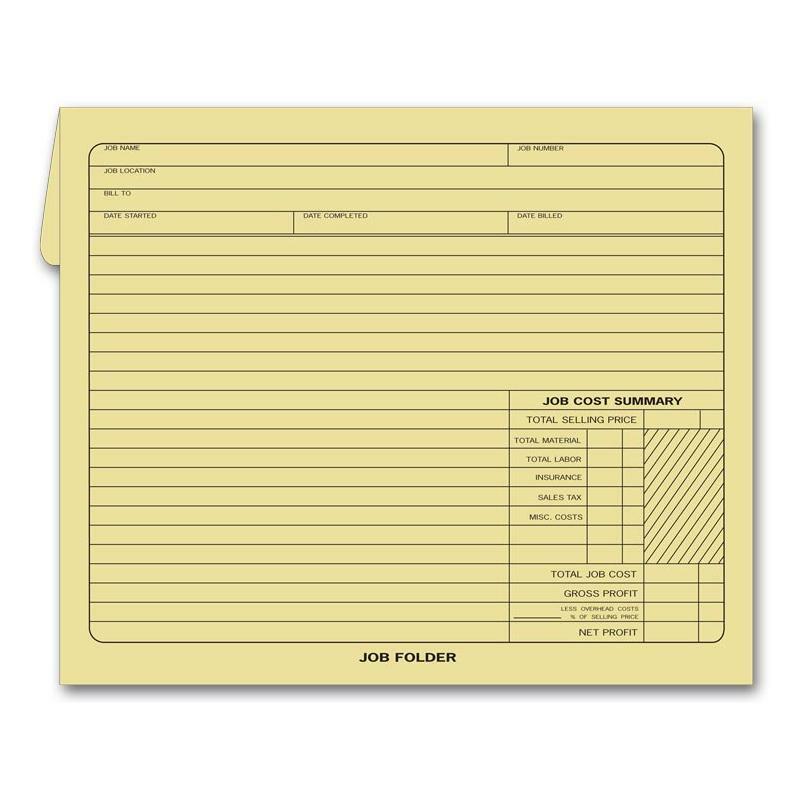 A job folder or jacket is a great way to keep up with a job in progress and stay organized. It can be used to store important paperwork like work orders, invoices, contracts, receipts, and more. They are made using manila-grade paper for the rigidity required on the related jobs. For example, in automotive repair, a technician working on transmission may take some time to complete the job and therefore need to keep track of the details along the way. This is where the job folder or jacket comes in handy and convenient. 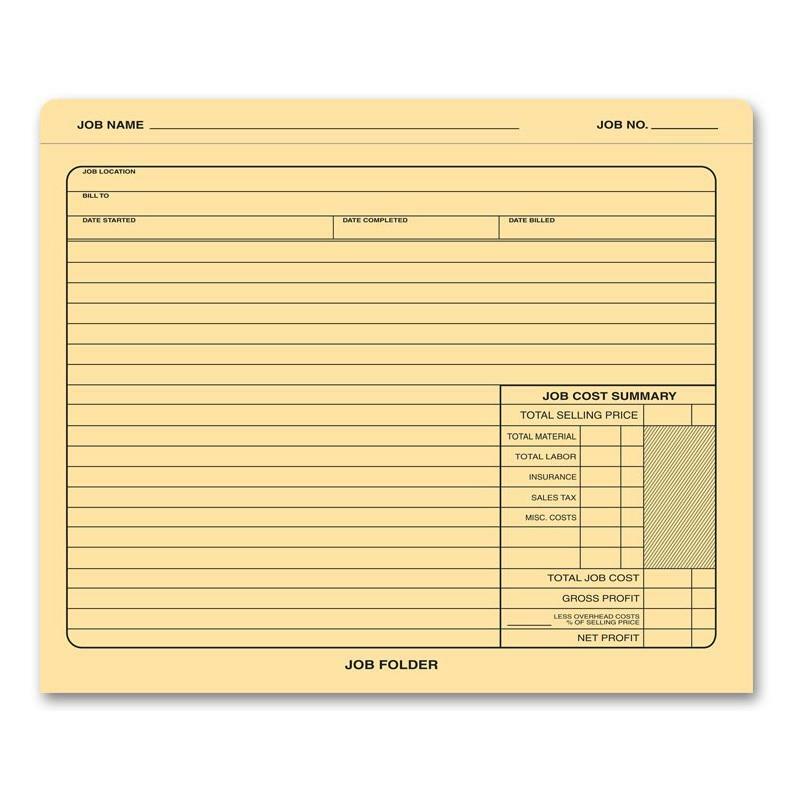 We have stock folders that are already imprinted and the option to print custom job folders with your information. Store records for a particular job by contractors, servicemen, home builder, etc. 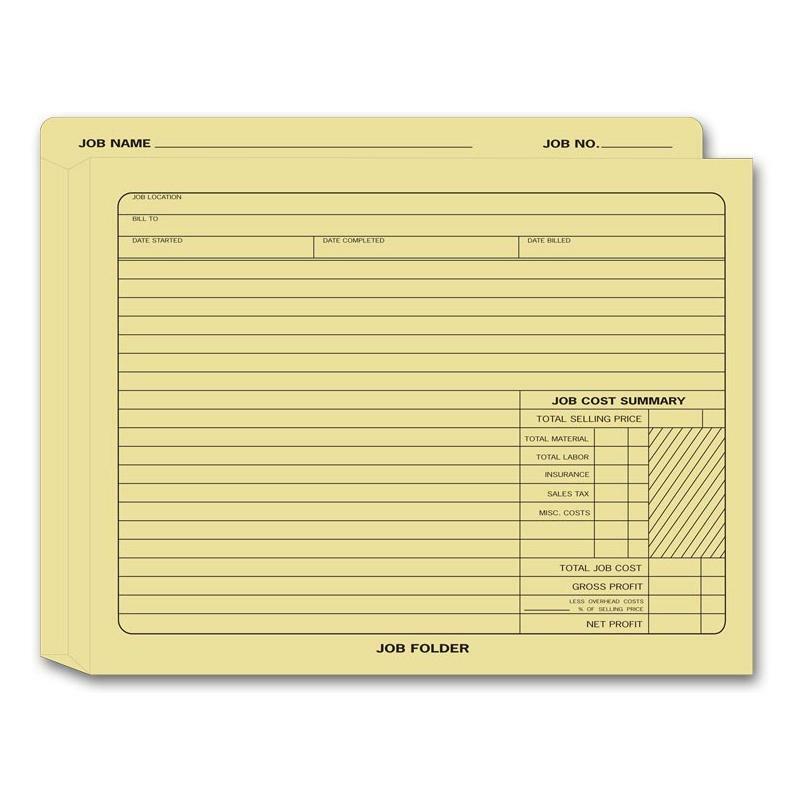 Construction Job Folder Jackets - These are used to hold paperwork like work order forms related to construction jobs. It is made from sturdy manila paper stock to protect it's content while maneuvering the construction work areas. 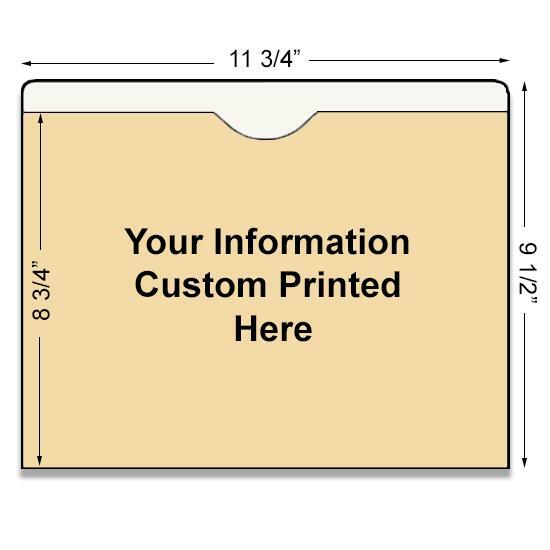 You can write details on the cover and insert 8.5 x 11" sheets of paper in of it. 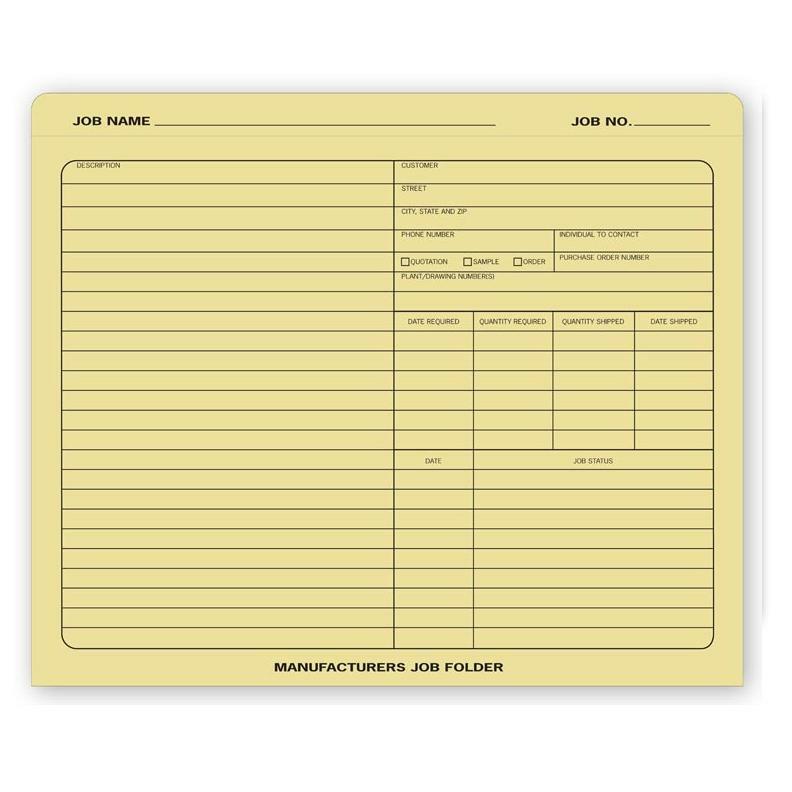 Collision & Auto Repair Folder File Jackets - Regularly used by auto body shops to keep job records and paperwork together. The collision shop has to keep all the paperwork stored in one place while the repair job is taking place. This helps to maintain an efficiently run shop. Automotive Repair Order Jackets - These are similar to auto collision jackets but are designed specifically for auto repair shops. The details on the cover are geared towards the car or vehicle repair work like engine repair and maintenance.